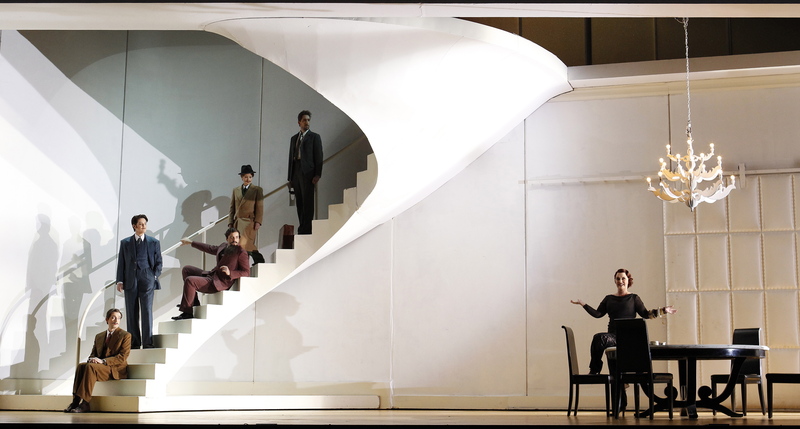 After wowing Sydney audiences in 2011, Christopher Alden’s boutique production of Partenope makes a welcome, if all too brief, appearance in Melbourne. The lack of name recognition for the opera is eclipsed by the star wattage of Australia’s leading soprano. Emma Matthews recreates her Helpmann Award-winning role, leading an ensemble cast of only six. The singers prove to be exceptionally well matched in singing quality, making for an evening of gorgeous music. Alden’s concept places the story in the relatively updated time of the 1920s, a time that suits the luxuriously decadent lifestyle of the amorous characters. While the setting serves the focus on affairs of the heart well, it means that the references to war and troops do not ring true. 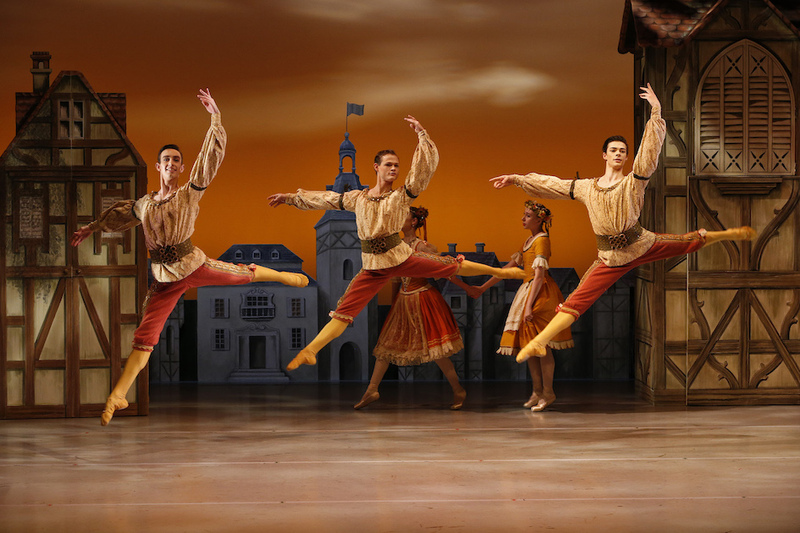 Alden’s deft direction tends towards the absurd at times, with snatches of physical humour, although this aspect is not fully realised throughout the company. Amanda Holden’s English libretto supports the update with touches of wit but also tends to highlight the repetitive nature of the lyrics. 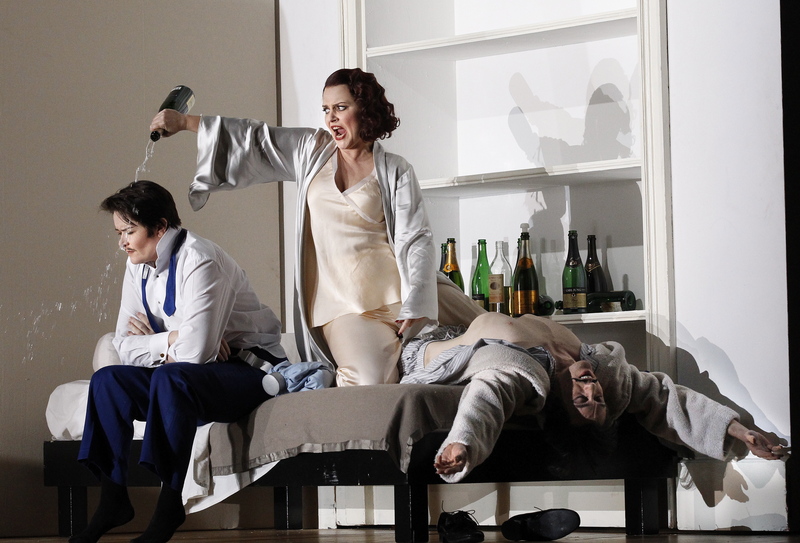 Cross-dressing abounds, with singer Catherine Carby playing the male role of Arsace, and the character of Rosmira disguising herself as a man. Partenope gets in on the action at one stage in top hat and tails, while Emilio ends the night in a skirt. 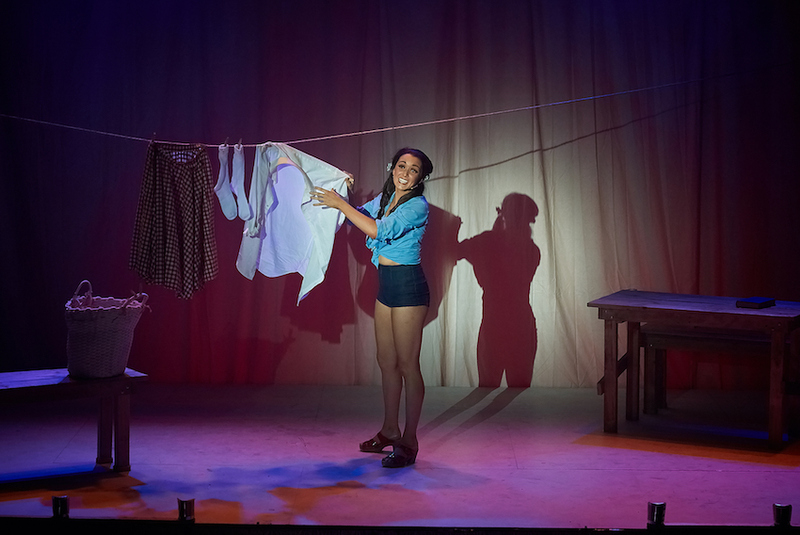 Matthews’s sheer joy at performing on stage is infectious, and she proves a good sport in the range of physical and sexual elements she is asked to perform. Thrilling cadenzas and ornamentals come forth with impressive pace and very little evidence of the level of exertion involved. If there is a highlight of Matthews’ glorious singing here, it is the incredible pianissimo of act two’s “Til Death Divides me from my Love,” in which the final words escape on little more than a breath. Carby achieves a carefully measured, noble characterisation as the heartsick Arsace. Although perhaps having one too many melancholy arias to sing, Carby imbues each of her pieces with a serious beauty that neatly offsets the frivolity of the other characters. Kanen Breen lands the best laughs of the night, his straight delivery making the performance all the funnier. Singing with a pure and even tone, Breen really wows the crowd by maintaining that vocal quality while contorting himself into an array of physical contortions. Congratulations to Breen’s yoga teacher! Victoria Lambourn contributes significantly to the beautiful singing as the jilted, vengeful Rosmira. Christopher Field, the lone countertenor in the cast, looks and sounds gorgeous. Richard Anderson achieves an amusing performance by the combination of his masculine singing voice and the camp characteristics of the fey Ormonte. Conductor Anthony Legge leads Orchestra Victoria in a nimble and sprightly rendition of the score. Jon Morrell has designed attractive period costumes that help to clearly define the characters, though he seems unable to dress Matthews in anything that flatters her voluptuous figure. Andrew Lieberman’s scenic design places the action in an ever more decadent Art Deco mansion. Combinations of stairs, frosted panels and balconies provide ongoing visual appeal. Lighting designer Adam Silverman makes use of the expansive white walls to create layers of shadows. 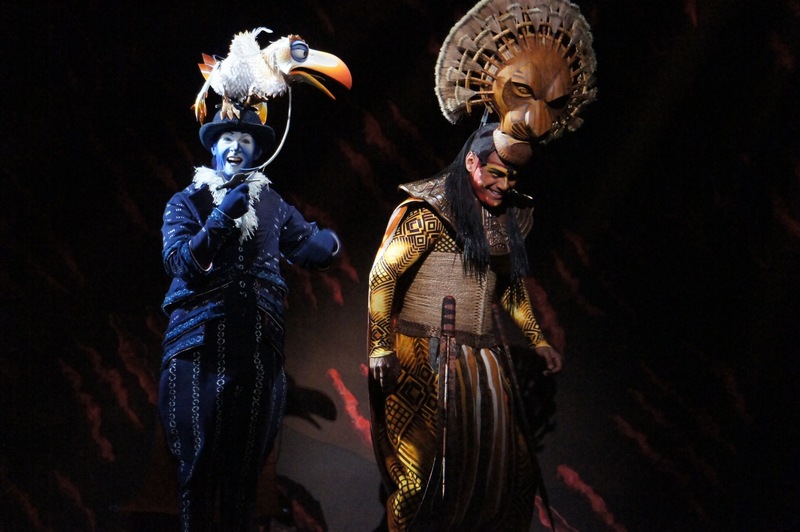 Unfortunately, this includes frequent shadows on the performers’ faces, robbing us of the chance to see their full range of expression. 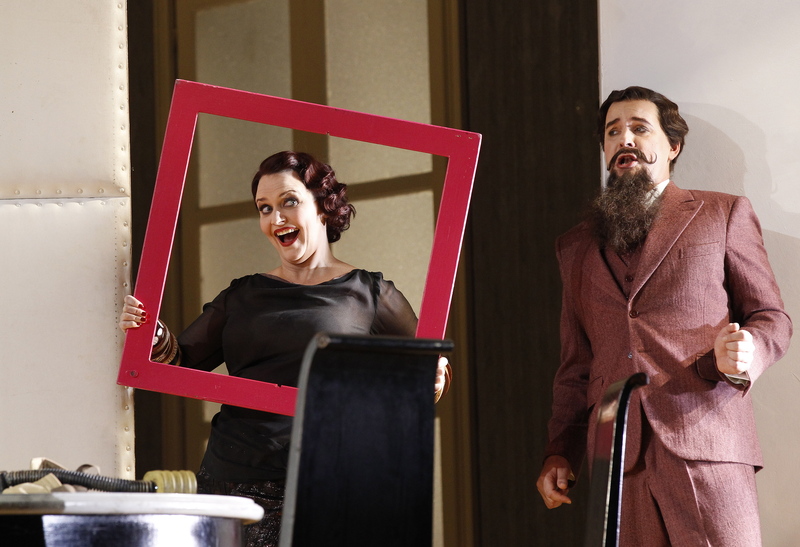 Of the operas presented in this Melbourne Autumn season, Partenope would surely be the winning choice in terms of uniform vocal quality and sheer adult fun. 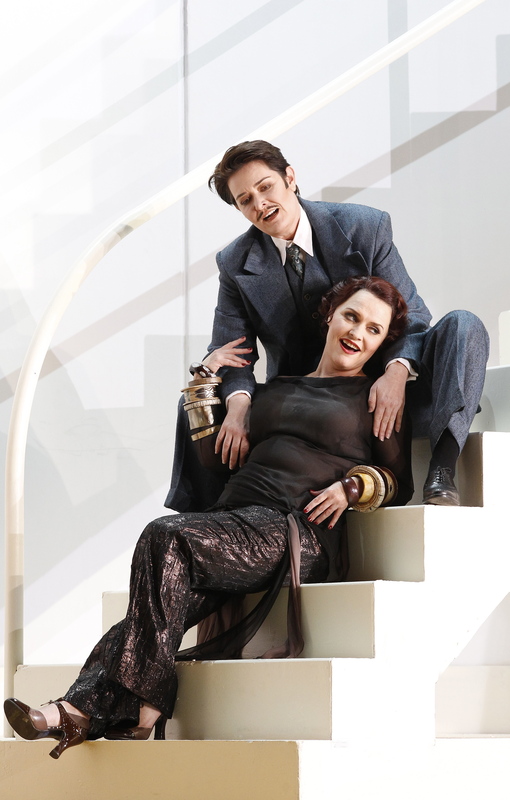 Partenope continues at the State Theatre, the Arts Centre until 8 May 2013.